Right of Way | Food It Yourself! If you’ve been reading the Food it Yourself blog, I’ll bet you’re interested in growing your own produce. Did you know that you can also raise your own livestock? According to the National Agricultural Law Center all 50 of these United States have laws protecting those who farm from those who would rather not live near farms. One of my goals as a home owner- transform my yard into a source of sustenance. Yes, it can be done! Where I live (the Bay State) “farming” includes raising fruits, vegetables, livestock, or fish. Right to Farm laws only protect farmers from nuisance law suits after one year of farming. It is important to note that the law only protects against nuisance complaints. If animals are maltreated or neglected, a garden attracts pests, or a poorly managed compost/manure management system creates unhygienic conditions the farm can be held in violation of local ordinances. Although I am still in the planning stages I fully intend to raise a small flock of chickens. Why would I do such a thing? The number one reason is to acquire cheap eggs. Factoring the cost of feed and purchasing chicks, raising your own eggs is less expensive than buying them every week. If you own the flock you know exactly what the animals eat, if they are ill, and how they are treated. Chickens love to eat bugs, slugs, grubs and snails- the bane of my garden! 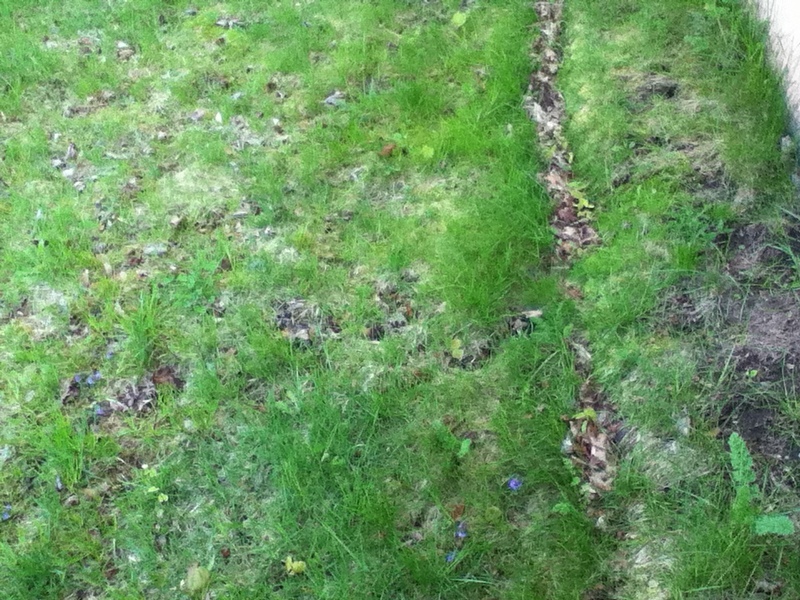 Even better, the chickens…um… deposit organic fertilizer as they strut through the yard. So many gifts from these feathered friends, make sure you treat them right! 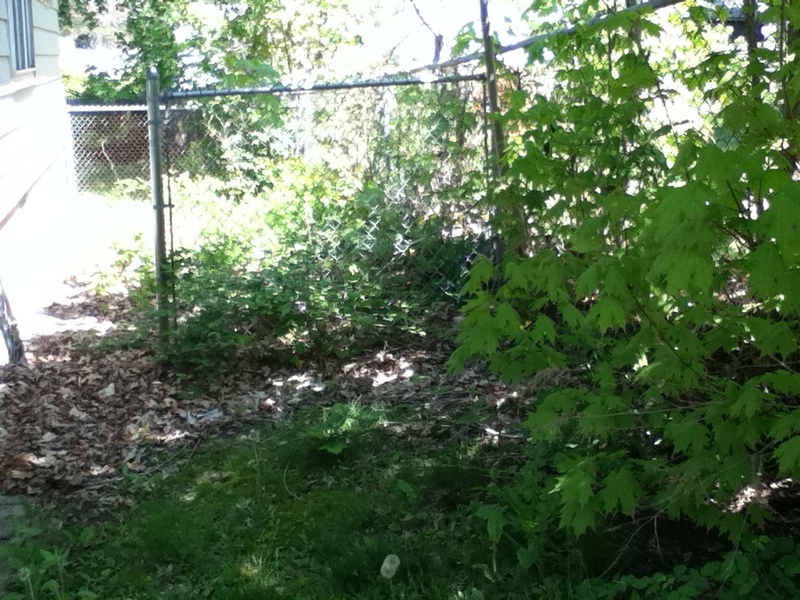 With a little planning and a lot of brush removal this enclosed area at the side of my house would be a good enclosure for a small flock of chickens. We have put off buying chicks until we can fully enclose our yard, put up a quality coop, and asses the predator population in our immediate area (coyotes, foxes, and even bears have been confirmed in our county). When we have made adequate preparations, there will be chickens clucking around our property. Not the life for everyone, but we look forward to adding super-fresh eggs to our DIYet. Will you give it a try?